Reminiscence of forest walks as the scent – guided by the Juniper – leads you through an alpine forest. Fresh blooms can be sensed as the floral bouquet prolongs the forest feel. The aromas of Mediterranean orange groves and freshly prepared lemon zest are never far away. Clean, crisp citrus fruits is at first refreshing, and then gives way to a deeper complexity. It is now that the rich spice of orris root, coriander and cinnamon come through in the full, whilst smooth creamy almond helps to create a fine balanced taste. Lastly, the tongue enjoys the satisfying citrus and spice sizzle. While, at the back of the palate, there is a creamy ‘melt-in-your-mouth’ sensation to enjoy. Throughout, this complex combination remains smooth, clean, and fresh. On the Rocks - Cooling over ice encourages the refreshing nature of GoodWill’s zesty fruit character. 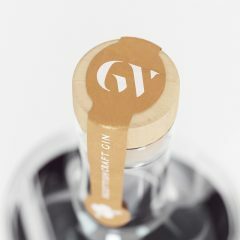 With Tonic - Serve with any fine Tonic and simply let GoodWill Gin do its own thing. Garnish with: Toasted Orange Peel to encourage the citrus botanicals and also Bruised Coriander to bring out the spice side. 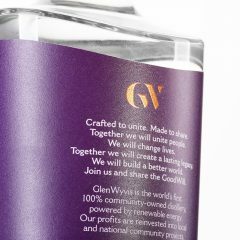 Nine premium botanicals including locally sourced Hawthorn are soaked in 55% ABV grain neutral spirit for 24 hours. 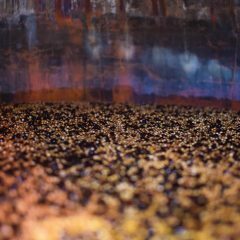 The steeping takes place within our 400 litre gin still, which goes by the name of Heather, and this allows for GoodWill’s delicate flavours to develop. After 24 hours of steeping, the still is heated using steam. 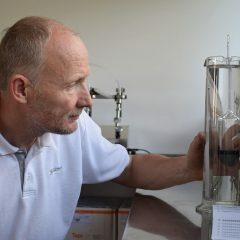 Alcohol boils at a lower temperature than water, so this allows the alcohol vapour to rise up through the 3.4 metre-high still column, across the lye pipe, and into the condenser, before running into the spirit safe. Some 30 litres of the foreshots, or ‘the head’, are collected before the spirit cut begins. Then, some 250 litres of the gin spirit, ‘the heart’, are collected at approximately 75% ABV. 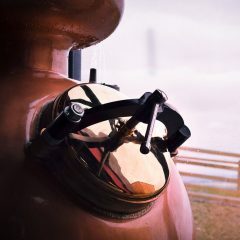 Together with the foreshots, the remaining feints, or the ‘tail’, are collected and used again in the next distillation. 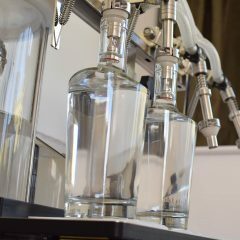 Finally, by adding distilled water, our freshly made, crystal clear spirit is then reduced to 40% ABV. 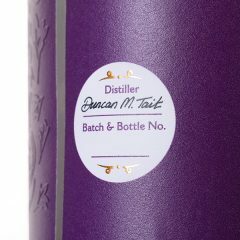 The delicate, yet citrus-rich GoodWill Gin is then ready to be bottled and enjoyed straight away.